The Naruto Scissors Royal Kingdom Duckboard Z Karakusa Handel hair cutting scissor has been developed for a handful of the most accomplished artists. Manufactured from a secret composition of rare blended steels and alloying materials. These shears display the absolute pinnacle of hand craftmanship.The Royal Kingdom Duckboard Z Karakusa is quite simply a true cutting experience with an an advanced cutting tool. 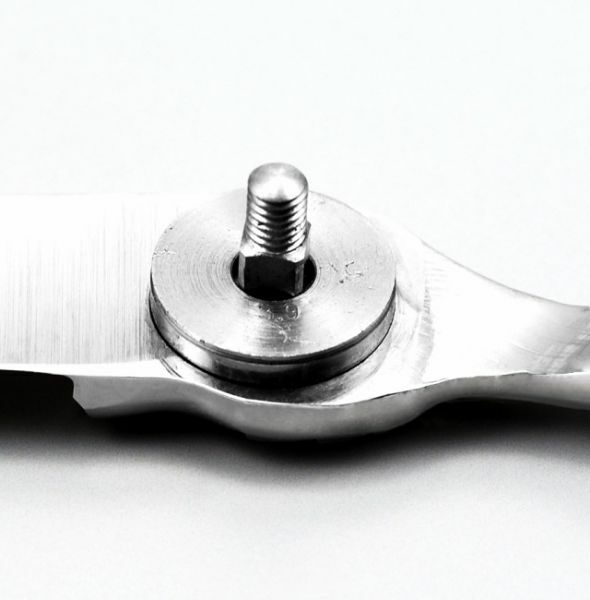 Designed with sintered powered cobalt alloy steel to give the smoothest cut possible. The Workmanship and finish work are breath taking, and this is accomplished by experienced artisans who are dedicated to achieve simply the finest hair cutting tools made in the world, second to no one. With this series there are two types of bearings packings depending on the size of the scissors. One has a diameter of 13mm to the packing and contains 10 ball bearings. The other has a diameter of 16mm to the packing and it contains 14 ball bearings. The diameter of the ball bearings for both packings are in the units of millimeter and made out of a metallic material that does not erode away. A company who feels it is important to vary the shaft diameter by 3mm according to length for vibration control, and to add smoothness to the operation of the scissor should tell you how dedicated and accomplished a company Naruto is. One more point Naruto is the only scissor or shear in the world that is over engineered beyond its intended purpose of simply cutting hair. These tools are of heirloom quality and stylists who have take the step into the Naruto Hair Cutting Experience often find themselves wanting another one. Have a Naruto Scissor custom made just for you. All Naruto Scissors include Free Name engraving in several fonts and no additional charge. This series contains the world’s first vacuumed sealed bearings; that due to its shape and design, a greater balance is added to the mechanism of the scissors. There are two types of springs to this series depending on the scissors. The cross shaped spring is used only for scissors with artist designs which is a much compact spring, and the plate spring are applied for the type II scissors.